You have dreamed of this day forever. The Rivers Ranch wants to help make your dreams a reality. 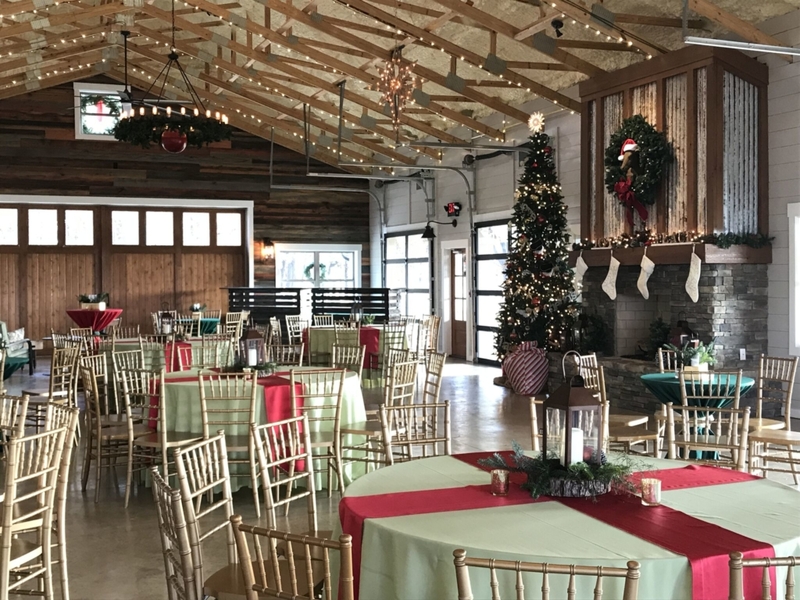 Our wedding rentals includes use of our 6300-square foot modern rustic barn, 150 white resins chairs at one of 3 ceremony sites, seating inside the barn for 150 people with round tables and gold chivari chairs, 2 6-foot wooden bars, 2 parking attendants, and 1 security guard (if alcohol is onsite). You and your bridesmaids have all day use of B’s cottage to get pampered while getting ready for your big day. We didn’t forget the groom, as we have a groom’s room inside the barn. We allow you to use your own licensed insured caterer as we have a nice large catering room onsite. Bring your favorite DJ, photographer, and florist. We have a rental studio with items like farm tables, whiskey barrels, spools, vintage furniture, lanterns, signs, and other miscellaneous items to make your special day a one of a kind event. B’s cottage is also available for overnight accommodations on your wedding night. We will provide champagne and continental breakfast for the newlyweds. 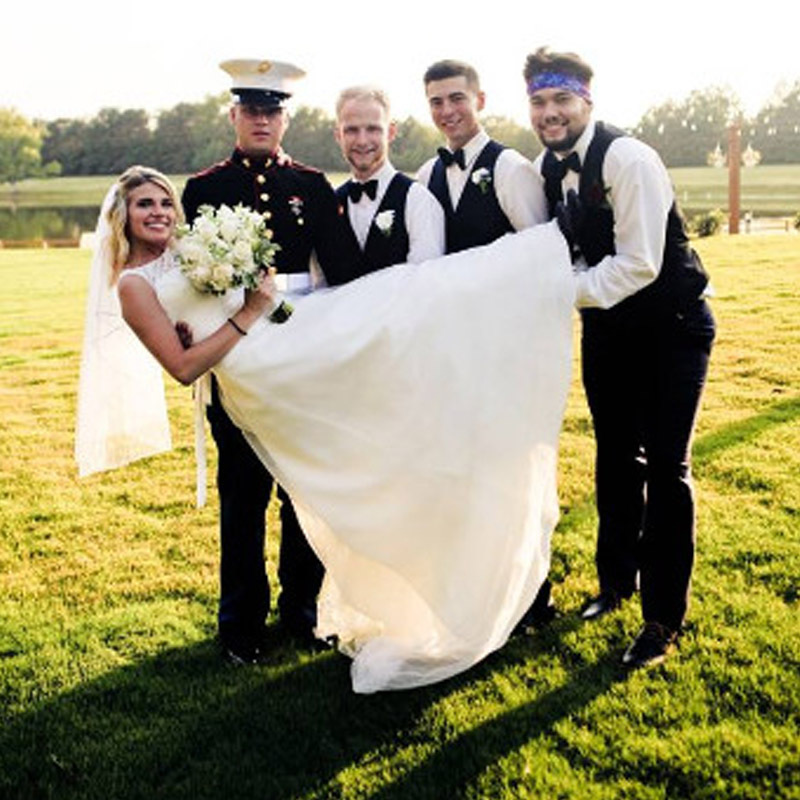 Once your book your wedding with us, have your engagement pictures made on The Rivers Ranch. The lake, the barn, the pastures, and the creek all make excellent backdrops for your pictures. 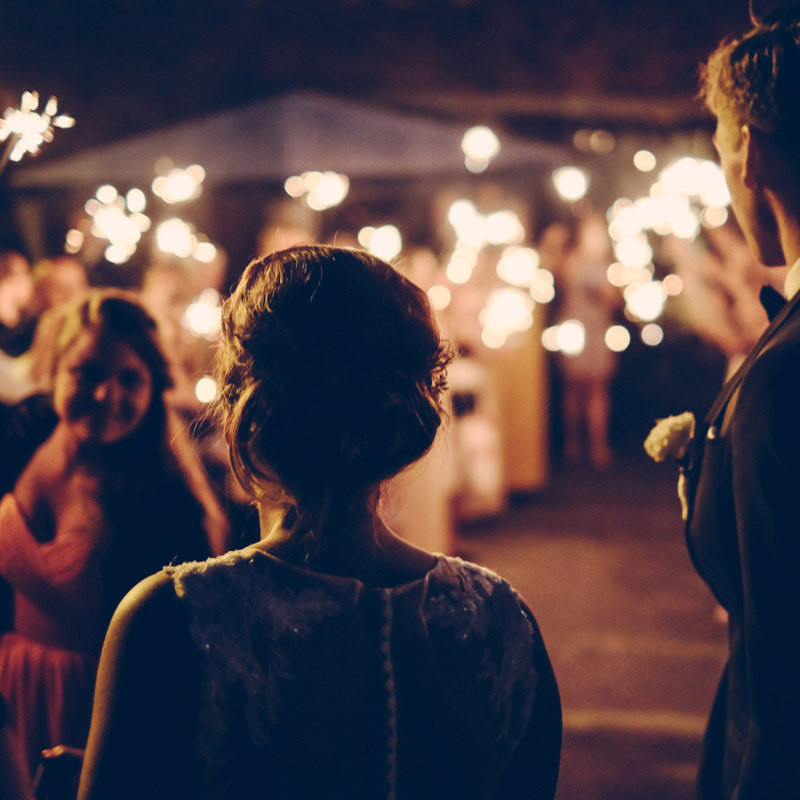 Do you need help organizing your wedding? Our Venue Director offers event coordination, event planning, and event design services to help make your day everything you ever dreamed. If you would like to set up a tour of our facility or if you have any additional questions, please contact us at 770-775-1622. Do you need a facility for your reunion, birthday party, baby shower, or other social event? The Rivers Ranch is the perfect location. With a picturesque view of the lake and the cattle out any of the roll up glass garage doors, our venue can accommodate your party up to 299 people. Utilizing the large covered patio across the back of the barn, inclement weather isn’t an issue at The Rivers Ranch. 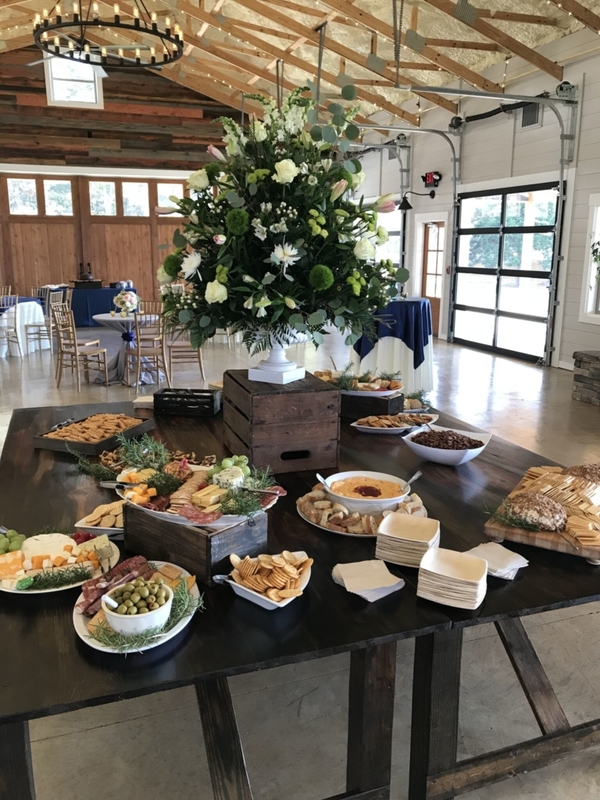 Our social rentals include use of the barn and the terraced lawn, seating for 150 people with round tables and gold chivari chairs, 2 6-foot wooden bars, a parking attendant, and a security guard (if alcohol is onsite). We do allow you to use your own licensed caterer as we have a nice large catering room. Bring your DJ or Band as the acoustics in our venue are great. Need overnight accommodations? We also have B’s cottage which is a 1-bedroom cottage available for nightly rental. We also have 2 RV electrical hookups available for nightly rental along with your event. The Rivers Ranch is an ideal location to host your corporate holiday parties, festivals, summer picnics, business meetings, job fairs, or team building events. With 5000 square feet of climate controlled space, our venue can accommodate 294 people for your corporate needs. Our corporate rentals include use of the barn and the terraced lawn, seating for 150 people with round tables and gold chivari chairs, 2 6-foot wooden bars, a parking attendant, and a security guard (if alcohol is onsite). Bring your own licensed caterer as we have a nice large catering room. Do you need help organizing your event? Our Venue Director offers event coordination, event planning, and event design services to help reduce your workload and make everything run smoothly. Answers to some frequently asked questions you may have. Yogalates is a type of exercise inspired by yoga and Pilates, as its name suggests. It is said to harness the physical and mental benefits of both practices, and its advocates describe it as a comprehensive exercise system. A Yogalates class may include popular yoga postures like downward-facing dog and the warrior poses with Sun Salutations, stretching and intense core and abdominal strength work. Yogalates may also feature breathing exercises, guided mindfulness and relaxation, depending on the teacher and style. It is likely to have a strong focus on alignment. 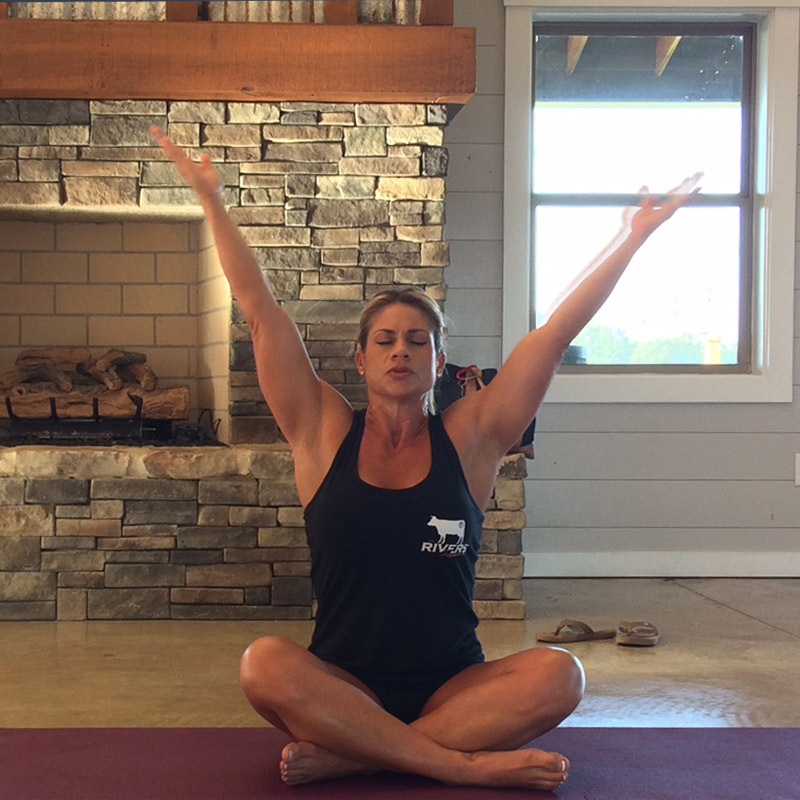 Yogalates is being offered at The Rivers Ranch on Mondays at 6:30pm, except holidays. Classes are approximately 1 hour each. You are required to bring your own yoga mat. Classes are $15 each at the door, or prepay for 10 classes for $100, or 5 classes for $60. No preregistration is required. For more information, please call (770) 775-1622. Come experience our 3rd annual Christmas at the Ranch, Saturday November 23, 2019 from 9am-4pm. Arts and crafts vendors, food vendors, live music, and children’s activities. Bring your children and your pets to have their picture made with Santa Claus. $2 per person at the gate. All gate proceeds to benefit Butts Mutts. Children under 10 get in free. Vendor applications are available now. If you are interested in becoming a vendor, please contact us through email at amanda@theriversranch.com. If you have questions, you may call us at (770) 775-1622. 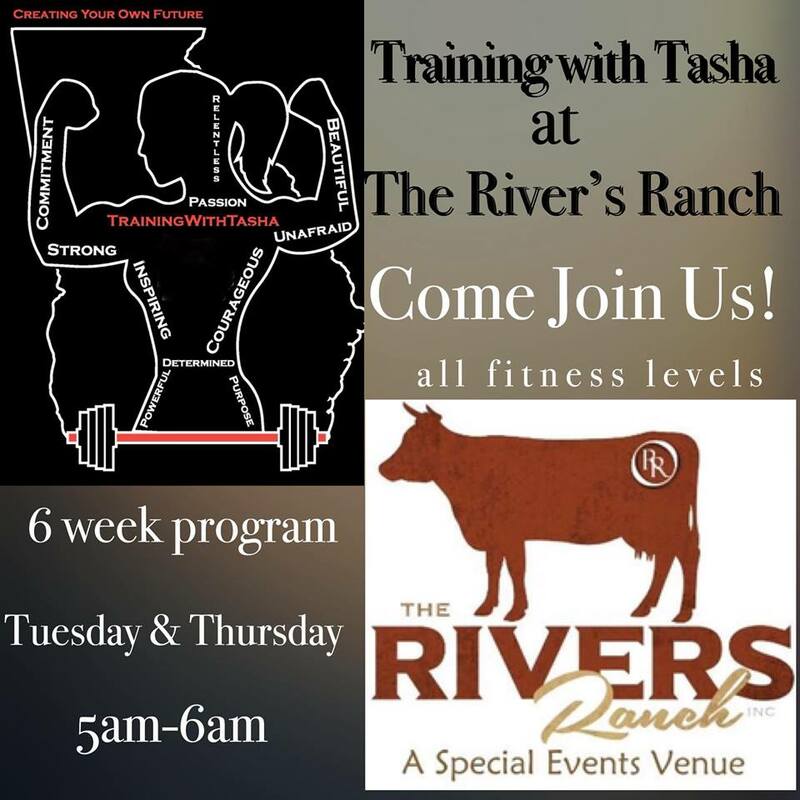 Training at the Ranch is an ongoing 6 week fitness training program offered on Tuesday’s and Thursday’s at 5:00am. In this 60 minute class instructed by Training with Tasha, you will mix traditional calisthenic and body weight exercises with interval training and strength training. We want to get you fit, get you healthy, challenge your mind, challenge your body, and most importantly make fitness fun!! The price is $170 for all 6 weeks. The next 6 week program starts on Tuesday February 19, 2019. Call Amanda at 770-775-1622 with any questions. The Rivers Ranch is offering a 6 week Ballroom Dancing Class starting on 01/31/19. This 1 hour class every Thursday at 7:00pm will be taught by Robert Edwards, and will teach you classic ballroom dances. All levels are welcome to attend. The cost is $150 per couple for the 6 week program. This will be an ongoing class, so please contact Amanda at (770) 775-1622 or amanda@theriversranch.com for more information and for the next class start date. 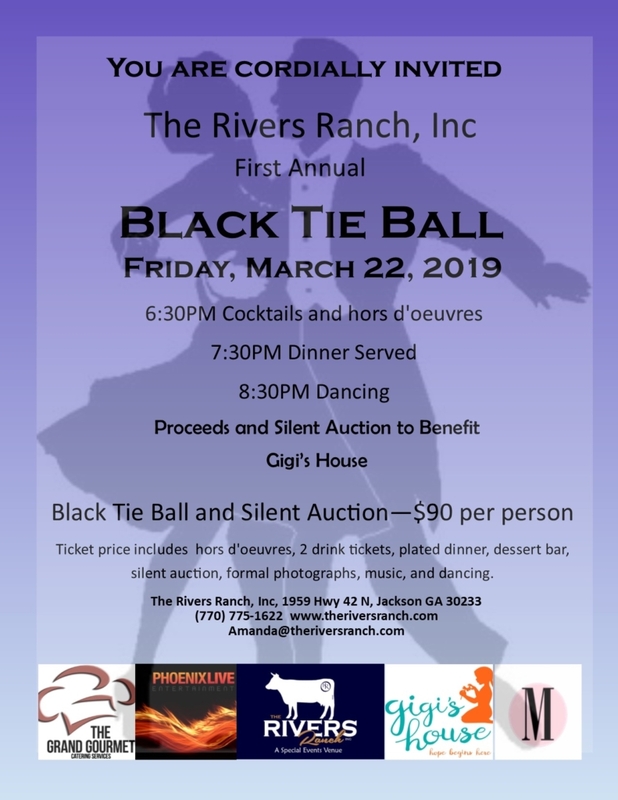 You are cordially invited to attend The Rivers Ranch, Inc first annual Black Tie Ball on Friday March 22, 2019. The doors will open at 6:30pm for cocktail hour and hors d’ooeuvres. A plated dinner will be served at 7:30pm, followed by a dessert bar, music, and dancing. Tickets are $90 per person and include 2 drink tickets. Proceeds and a silent auction will benefit Gigi’s House. Tickets must be purchased prior to 3/14/19. Contact amanda@theriversranch.com or call (770) 775-1622 with questions.